﻿ ASO eShop - Buy App Reviews - Buy Android Reviews | Buy App Ratings | Buy Keyword Installs - Rank your Android App TOP for any Keyword. Price Starts at Just $0.1 per Install. Buy Keyword Installs to Promote & Rank your Android App Cheap & Fast. Promote and Rank your Android App TOP in Google Play Store for any Keyword. *Note: if you want to run large campaign, then contact us first. It takes 1-3 days depending on traffic and competition to see the result. Target almost any country for FREE, we don't charge on country basis. Push your app to rank #1 for any keyword of your choice. Choose package or keyword installs and you are ready to go. over 6,000 + apps already delivered with awesome results. "We have many promotional benefits and we have many awesome features as well." We have many main advantages which are our usp (unique selling points). Acquire users from our innovative advertising platform and expect high conversion rates. Run package campaign for installs or add rate/review to your campaign for ratings & reviews. We have cost-effective rewarded traffic and high engaging non-rewarded traffic. We offer low cost incentivized installs which are delivered via offerwalls or rewarded traffic. We offer high quality non-incentivized installs which are delivered via creatives or organic traffic. We offer high volume campaigns and allows you to advertise your app to millions of active users! We have many advanced targeting features and we do not charge extra for that unlike others. Want to target specific country? Target any country or multiple countries at no extra cost. You can set a daily download rate and download distribution as well when creating a campaign. If you want to terminate a campaign, left over budget will be refunded back to your balance. We provide real-time analytics and you can check detailed reports in your dashboard. You can Track our installs via Google Analytics or other tracking tools with “CPI Droid” referrer. Our technology identifies fraud clicks or fake installs. You do not pay for fraudulent installs. 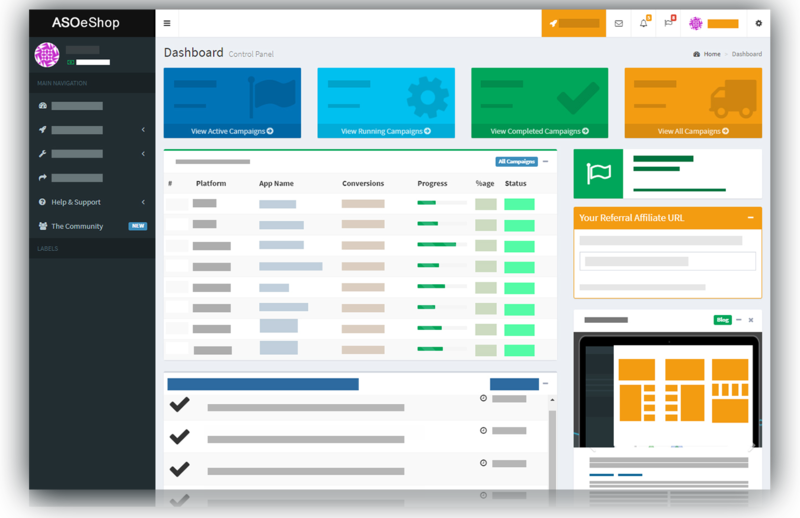 Track all your app installs, performance & metrics by any popular Analytics or Tracking solutions! Our platform is most advanced and almost fully automated. Acquire users via Rewarded Offerwalls our low cost advertising & expect high conversion rates. Quickly get started on our platform, Creating & running your campaign can take just few minutes. Our platform is most advanced, automated & self-serve. Go Live in just a few short minutes! GET FREE ASO CONSULTATION (*) We’ll never spam your email! We offer variety of plans which suits everyone's need and fits to budget as well. We have automated self-service platform. Get started quickly in few clicks and save time! We Offer a Wide Range of App Store Optimization! Why Should You Buy Keyword Installs Services? If you want to boost your ranking in play store or app store on search results then you should buy keyword installs. In turn, you will get more installs from real users. Users do not engage with Apps, Games having low average rating score or negative reviews which might affect your app badly, no matter how good it is. It would harm your app ranking and earnings as well. Keyword installs are the best way to boost your keyword ranking on search results. 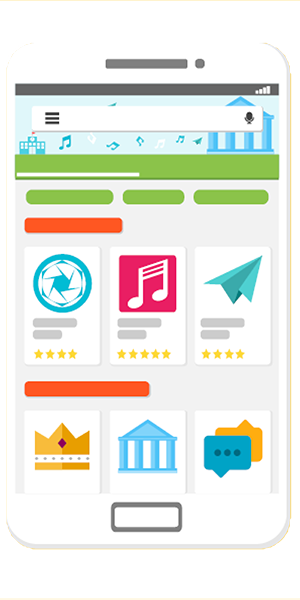 Why Should You Buy App Reviews Services? Looking to buy app ratings, reviews? You can buy android reviews and buy ios reviews with us as well. We provide the real app store reviews from real users and devices. App ratings, reviews campaigns will help in increasing your app’s rankings and boost your organic installs. If you have high rating score, it will attract more users. We do continuously improve the system on a regular basis. Why Should You Buy App Store Optimization Services? Without ASO (App Store Optimization), your application would never become popular. As users wouldn't find it in the search and will not install if the app listing is not well optimized. The best strategy to get tons of low-cost installs is nothing buy buying app installs with ASO. We provide positive reviews and buying iOS will increase the chances that get the app downloaded by users. Fast & Affordable ASO Service - Buy App Reviews Now! Developing an Android or iOS application requires a lot of efforts, patience and time. Most of the app will not become popular without boosting visibility at the Play Store or App Store. If you would like to improve visibility, you'll confront competition. There are many application developers that wish to market Android, iOS applications in order to get profit and achieve success. The best way of how to promote your application on Google Play. We offer mobile marketing services that provide clients with the capability to gain installs and evaluations. Our Android promotion has a CPI basis which is, in fact, the best marketing plan for applications. The application is shared via advertising networks where it gains relevant geographic locations. The outcome is 100 and every pay per install is calculated. We are a mobile app marketing firm which provides a variety of app promotion services. We also provide custom marketing plan, free consultation, and support. We consider all of your needs and requirements related to the campaign and do our best to place them into action. Thorough Reports: ASO is very dynamic and is an undefined science – you learn it with experience. We do support every campaign with detailed reports of all of the installs or reviews supplied. You might take the data out of your Google Analytics or Google Developer Account. 24/7 Support: It is the individuals, which makes the difference. You may reach support team any time and get answers to your questions and essential help. Fraud Prevention: Search engines continuously roll out new updates all the time and it is must to remain on top. Do not pay for bot installs. We have got a strong and secure fraud detection system, which makes promoting applications absolutely risk & fraud-free. Efficient Model: Communication is key to any online marketing campaign’s success. We have CPI model which is very cost-effective. Employing this model is a sort of assurance that everything is going to run. We have proprietary technology that helps us boot your app ranking in google play for your targeted keywords. You can define the country or a set of states where you want your mobile app installs to be spread. We're proud to boast that our solutions are affordable and we have marketing services that suit everyone need. Consequently, in the event that you still hesitate to promote the program, feel free to contact us! Promote your Android, iOS Mobile App. What would you need to advertise your Android, iOS app? First of all, your app needs to have USP (Unique Selling Points) to make it stand out from competitor apps. Consequently, you need to buy app installs and have an excellent app store optimization. Then, define the target audience and begin running the mobile advertising campaigns. Pay per install is one of the most effective methods to promote Android, iOS apps. Advertising your Android, iOS app will help increase its visibility. If your app becomes popular then many app review websites, blogs, and influencers might write reviews about your app. It is the best way for your app to get tons of new organic traffic and installs. How to Promote Android, iOS Mobile Apps? Using ASOeShop.com mobile app marketing services, you can receive the entire spectrum of services required to make your app game famous. In the beginning, it'd be the optimization with text and images on your program. We can do burst campaigns and keyword installs campaigns to boost your mobile app ranking for the many trending keyword searches. 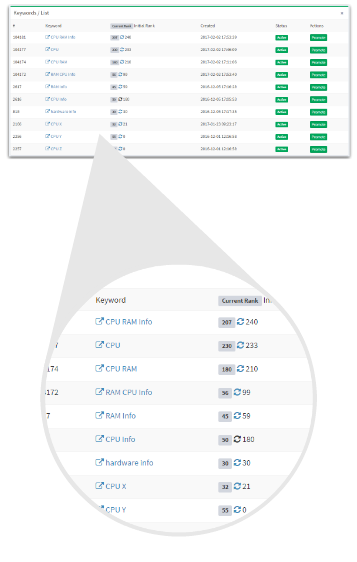 You will start getting tons of thousands of quality organic installs if you reach the top position for any trending keyword. At our platform you can manage all your keywords relevant to your app very easily and you can also check live rank of your app in google play for those keywords. Create keyword campaign for your app and manage or check its performance and ranking of your app at same place with ease.